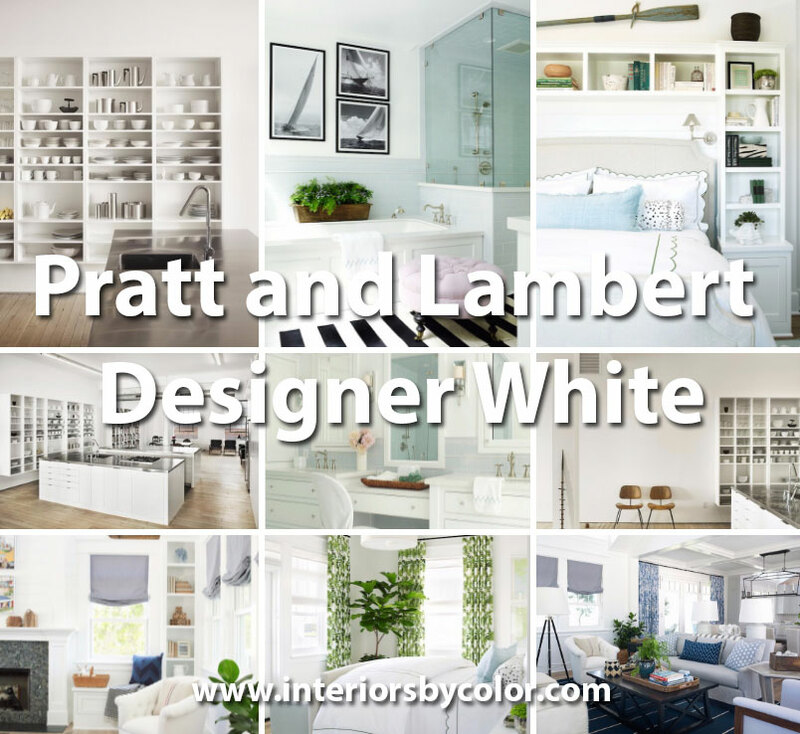 Pratt and Lambert Designer White is a great clean white that looks great paired with red, blue and greens. 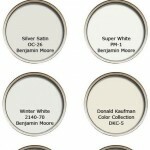 This white paint color is great for use on coastal/nautical themed interiors and minimalist, Scandinavian interiors. 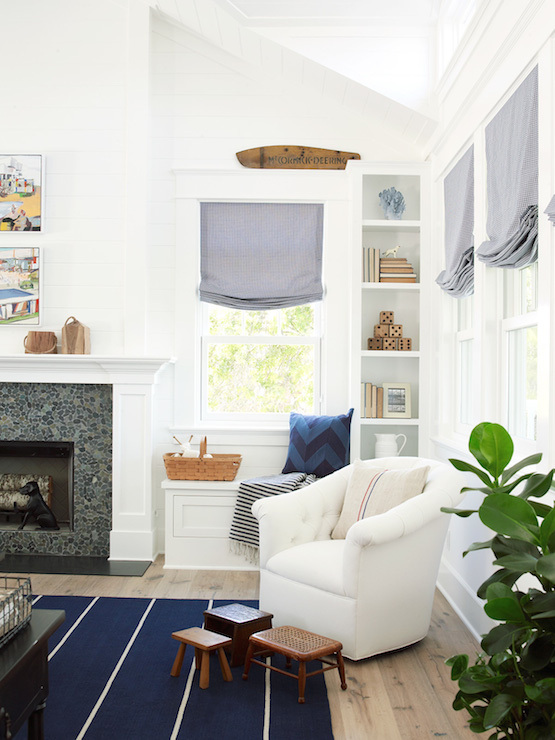 A coastal themed living room with a palette of blue, grays and white. Blue curtains with a botanical pattern, chevron and floral print blue throw pillows on a gray linen skirted sofa, gray silk roman shades, mismatched endtables and a black x-based coffee table adorned with books, baskets and a fern. 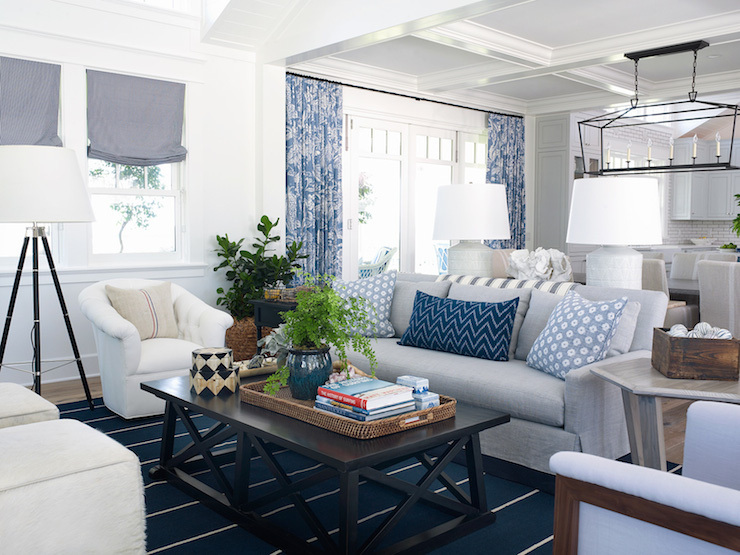 Accent white tufted armchairs atop a navy and white striped rug, a tripod floor lamp with a white shade, coffered ceiling and white walls painted in Pratt and Lambert Designer White. A corner view of the same room as above, a reading corner featuring a white tufted chair and vintage stools, wide blonde wood hardwood floors with the navy striped rug. A fireplace with a window seat and a narrow built in bookcase. Walls painted in Pratt and Lambert Designer White. 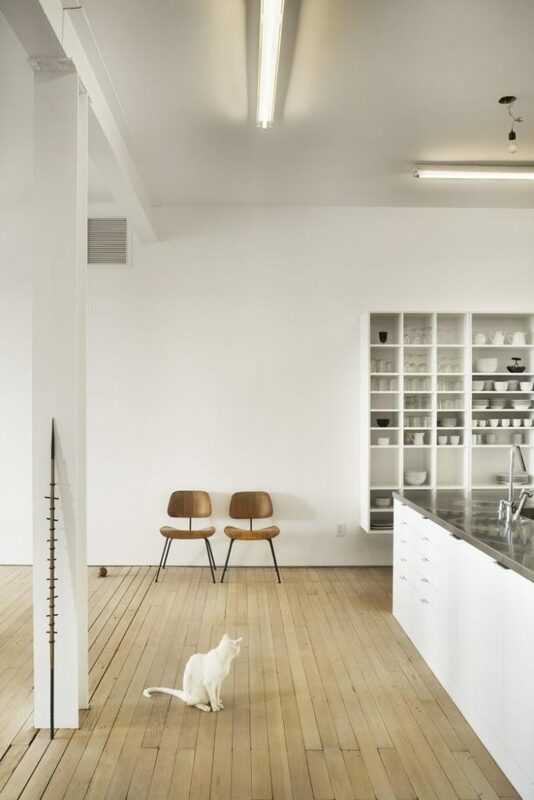 Modern kitchen with high ceilings, all in white with white kitchen cabinets, built in shelving, light colored floorboards. 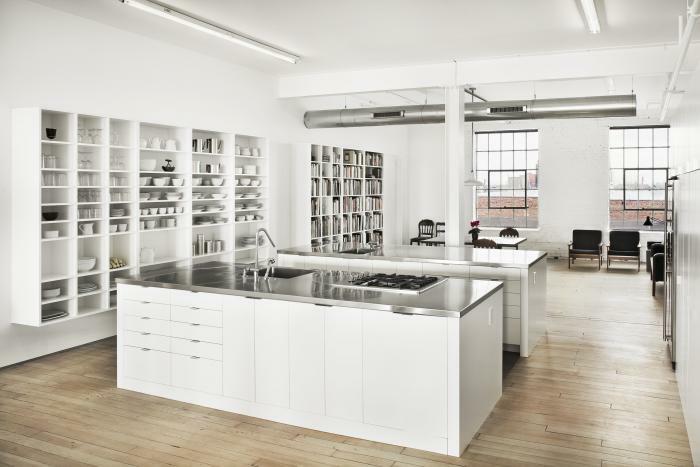 At the owner’s request, the architects used Pratt + Lambert Designer White #33-1 paint. “She felt that this ‘white’ has a light bulb behind it; some warmth, some glow, keeping the huge space from feeling too empty,” Doniewski says. via Simplicity and Abstraction. 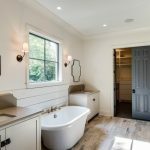 Bathroom cabinets painted in Pratt and Lambert Designer White in the Traditional styled master bathroom with double vanity, triple mirrors and fabric covered chair. 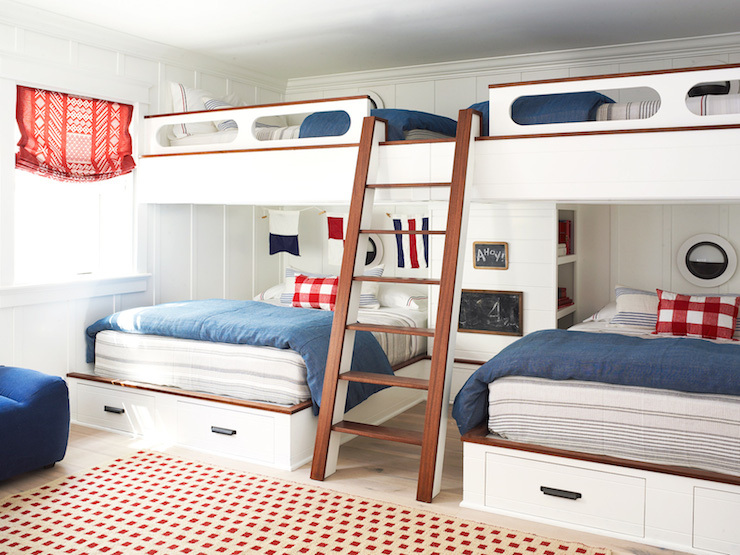 A nautical themed kids bedroom with amazing built in bunks, with two double beds in the bottom and two single on top, built in kids bookcases and ladder leading to loft beds. A palette of white, blue and red, a classic nautical themed is used here with bedding in blue,red and white with stripes and gingham patterns. 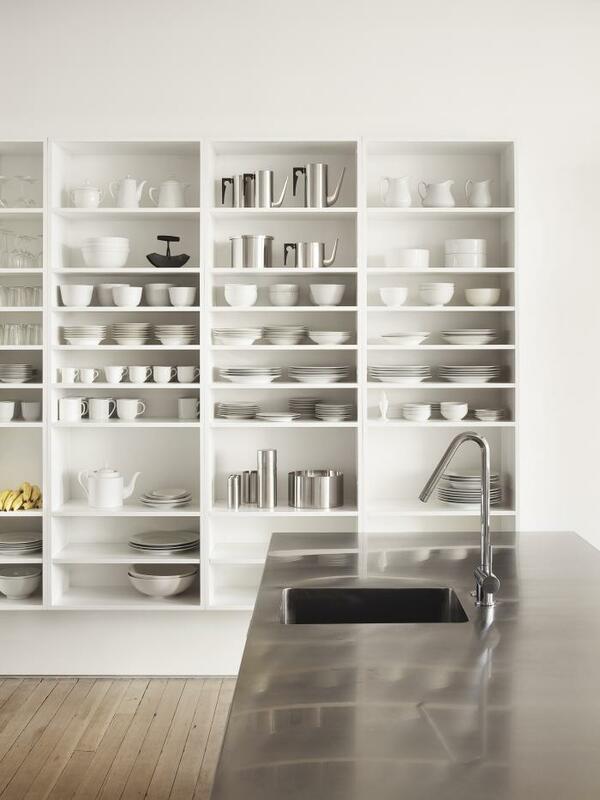 Walls painted in Pratt and Lambert Designer White. By Burnham Design via Coastal Living. A bedroom with a color palette of blue, white and green with walls painted in Pratt and Lambert Designer White. 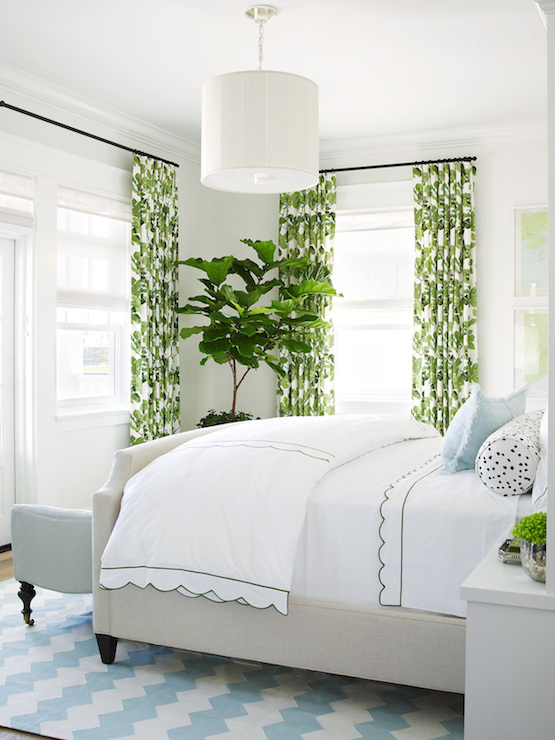 Windows dressed in Peter Dunham Fig Leaf Fabric curtains and a Barbara Barry Perfect Pleat Pendant hangs above the bed dressed in scalloped duvet and shams in white with a green trim. By Burnham Design via Coastal Living. By Burnham Design via Coastal Living. 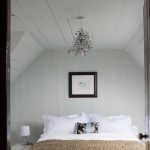 shot of the room above with the light grey bed framed by built in bookcases. 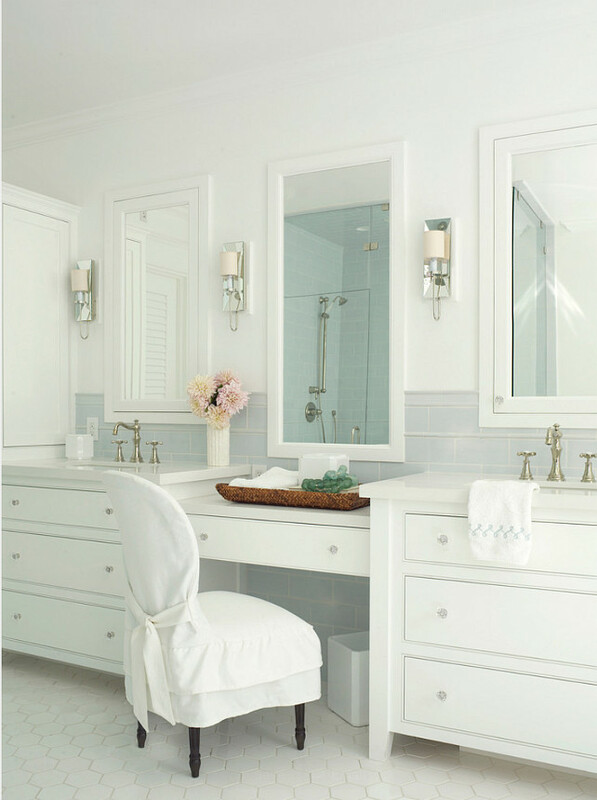 Elegant bathroom design featuring a light blue tiled subway splachback, a light pink tufted ottoman atop a striped black and white rug. Framed black and white sailing photographs on white walls painted in Pratt and Lambert Designer White. 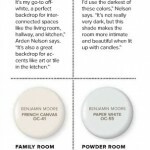 Pratt and Lambert Designer White bathroom walls.